At almost 1kg, the Deuter is nearly double the weight of the Camelbak. Volt 13 LR. It uses a fancy suspension back panel: the back board is curved, and a couple of metal poles hold the load clear of your back. 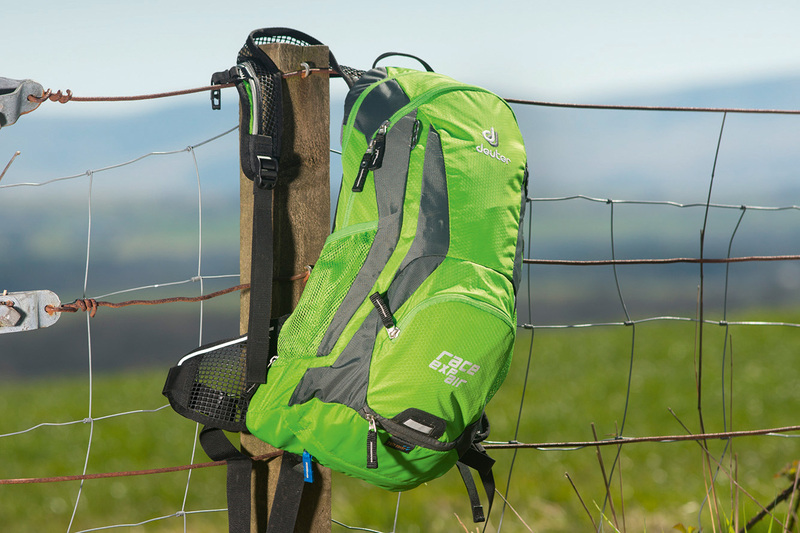 It’s similar to the Vaude Hyper 14+3, and does a similarly good job of creating a pleasant airflow over your back, reducing sweat build-up — something that curses every other pack. Half the testers noted some chafing at the hip contact points though, and that could pose problems on long rides. We also felt that the Deuter Race EXP Air lacked stability on steep ground, with more than one test rider complaining of it moving around and knocking the back of their helmet. The tool compartment at the front of the pack is just big enough for the basics, with the rest having to roll around the bottom of the main compartment. The sizing of the latter is generous, and a zip extends it by another three litres from 12 to 15, but it also houses the hydration reservoir — never a great feature in our book. At £77 without a reservoir, it ain’t cheap either, nudging £100 by the time you add one.